The GRANDER® Water Revitalization is based on the understanding of information transfer. The core element of GRANDER® Water Revitalization is water. 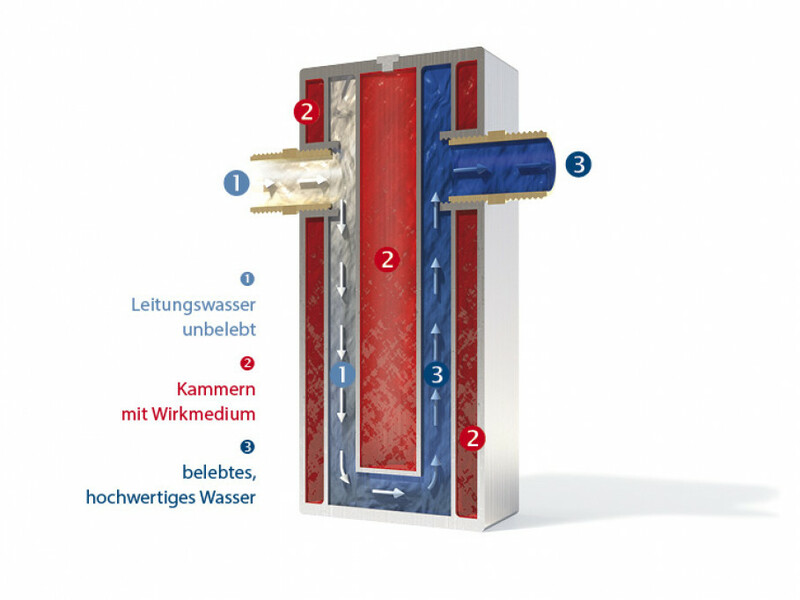 As "information water" is the described effective medium the GRANDER® Water Revitalization units deal with water from a higher inner order, produced according to the special knowledge of Johann Grander. This information water is capable of transferring a higher order to non-revitalized water without coming in contact with it. The special characteristics of revitalized water are transferrable to any water. The revitalization is done by means of the GRANDER® units made of pure high-grade steel, which are filled with GRANDER® information water and are directly installed in the water lines or they are installed in the water taps. The units work without electricity, without chemical additives and do not require any service or maintenance. The information transfer is done without direct contact. An achievement that has gone around the world and has been used by many.